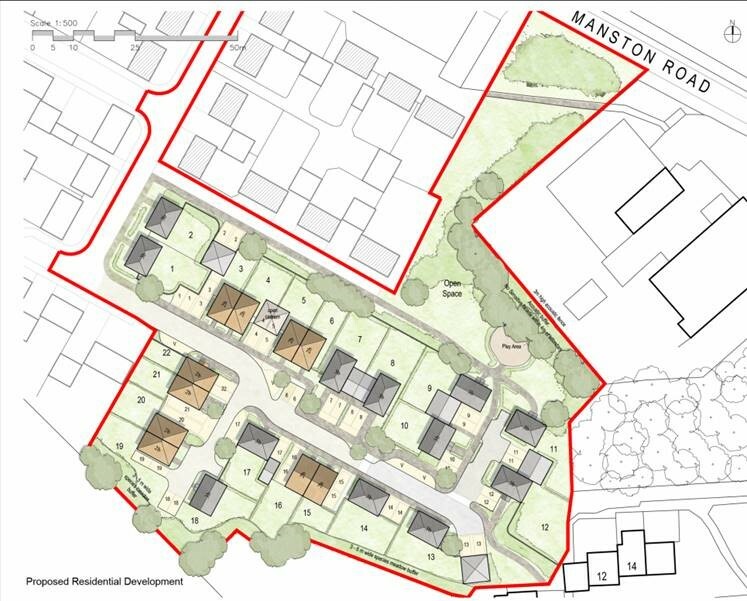 Hume Planning have secured outline planning permission for the residential development of former MoD land in Manston. The site, used previously for the stationing of service personnel and their families, is located between an existing former MoD housing site to the south-east and a newly-constructed housing site adjacent to the north-west. The approved outline proposal comprises 22 units, 30% of which will be affordable, and provides for a landscaped area of open space, inclusive of an equipped play-area. The practice worked alongside specialist consultants to address matters relating principally to noise and vibration, ecology, and flood-risk and drainage. The proposal was supported by the LPA and Members, and recognised by officers for its contribution to the district’s housing supply, in addition to the social and economic benefits which will stem from its redevelopment.